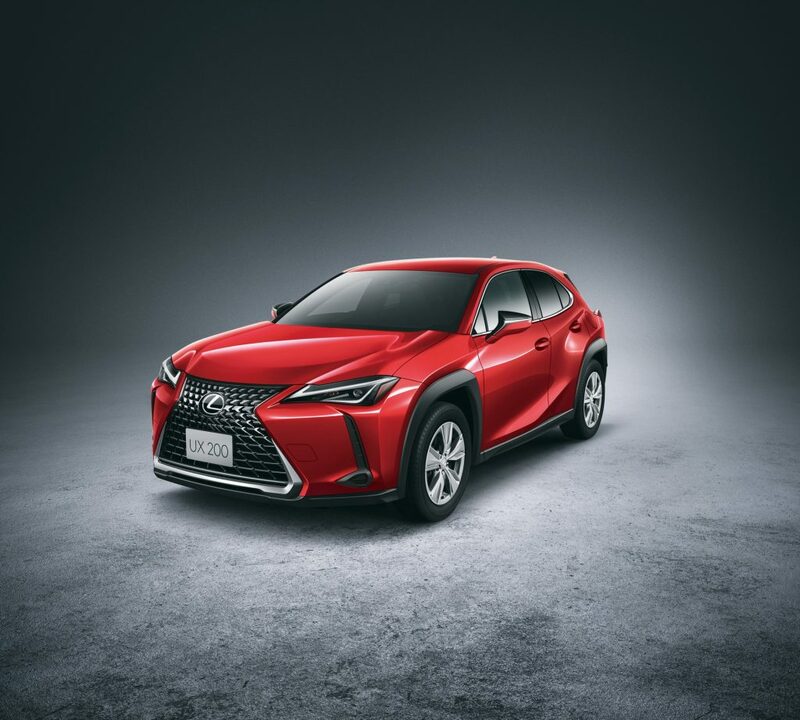 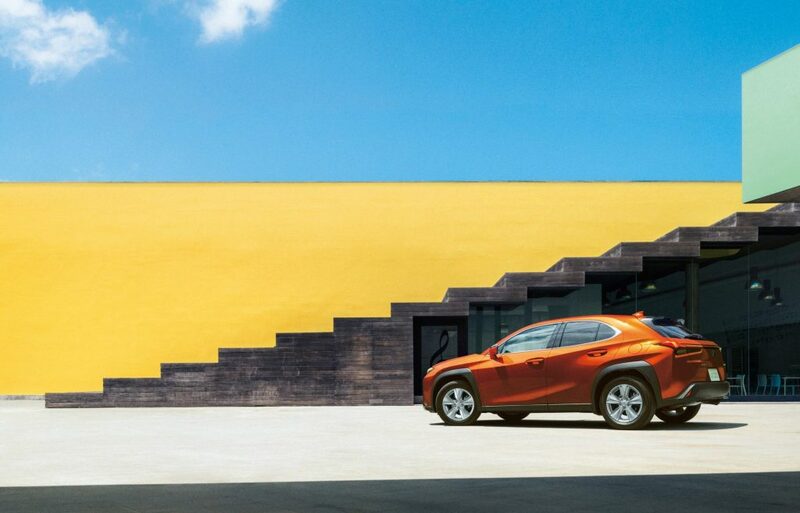 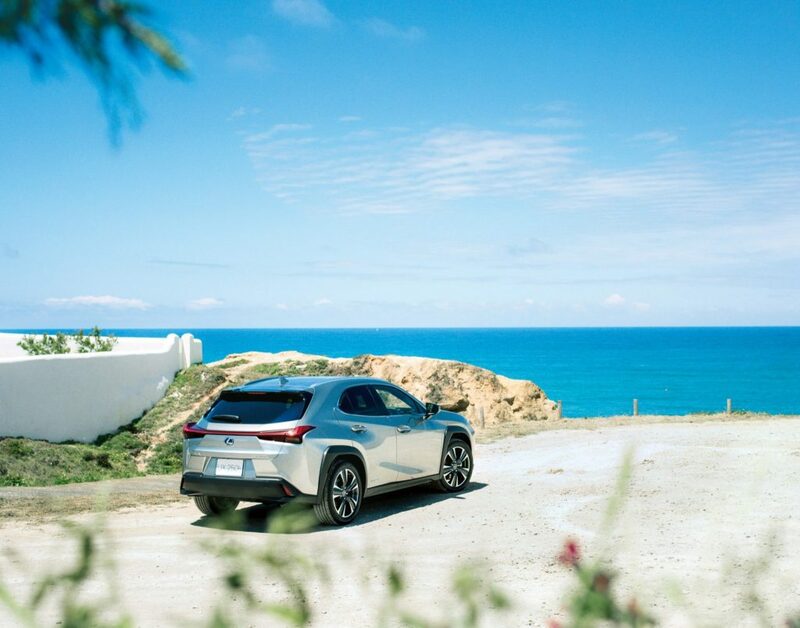 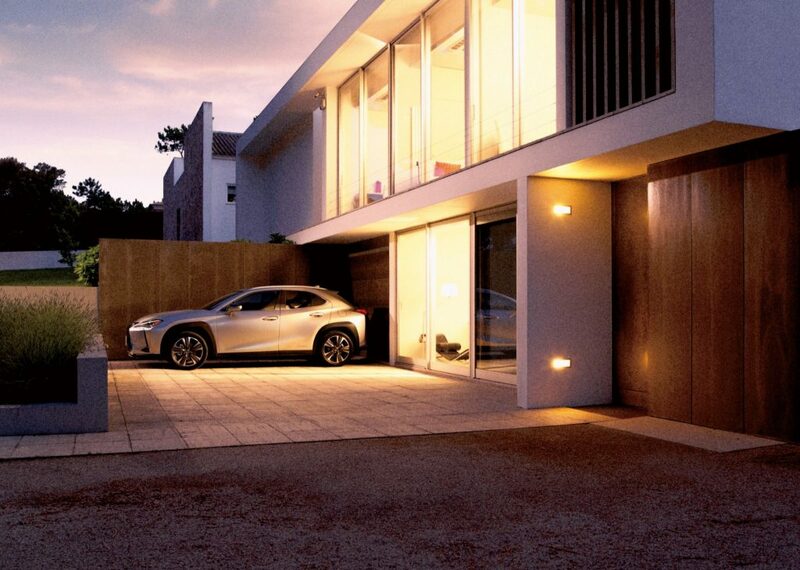 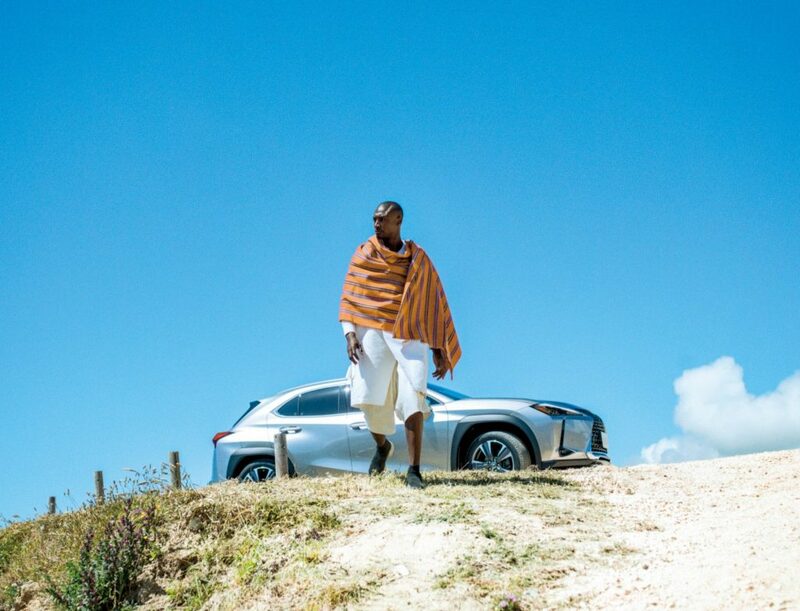 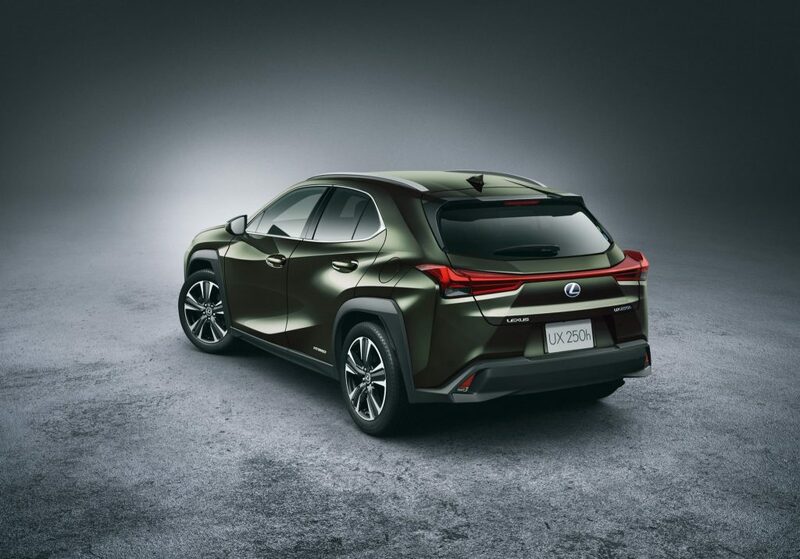 The all-new Lexus UX goes on sale today at all Lexus dealerships across Japan. 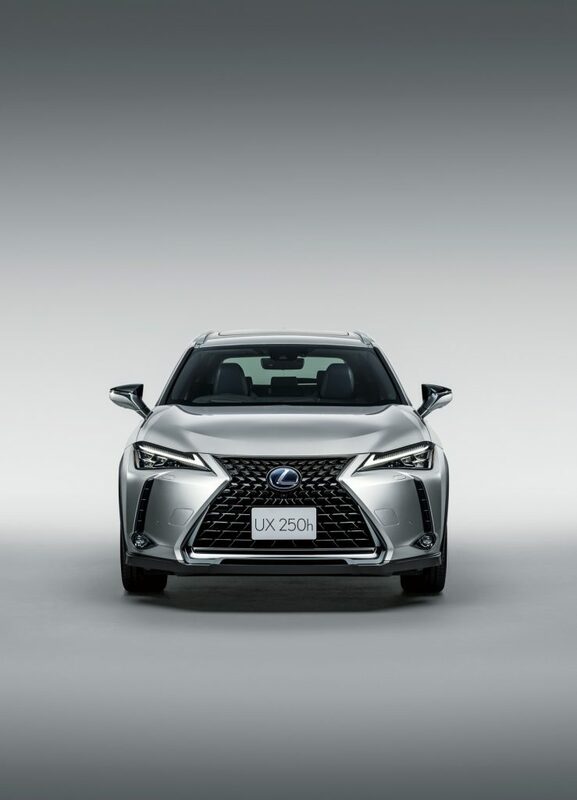 Catering to urbanites in search of a fresh, contemporary and dynamic take on luxury driving, the UX offers the brand’s innovative design, luxury features, and advanced safety in a package that combines charismatic new styling elements and ultra-efficient new powertrains. 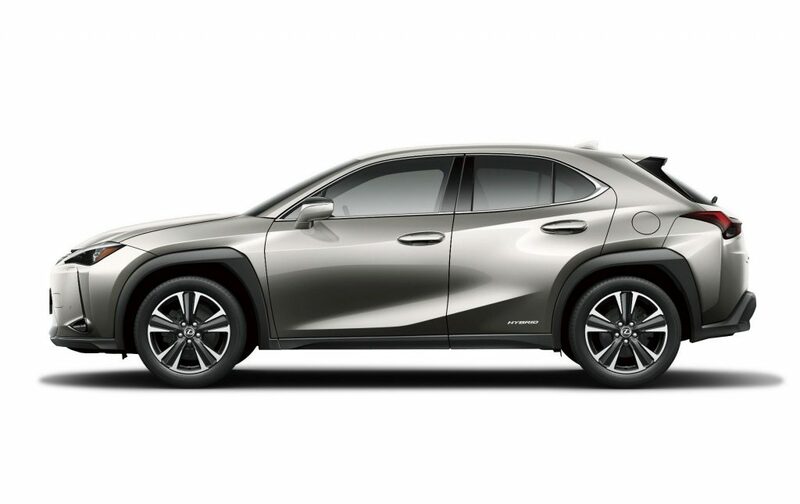 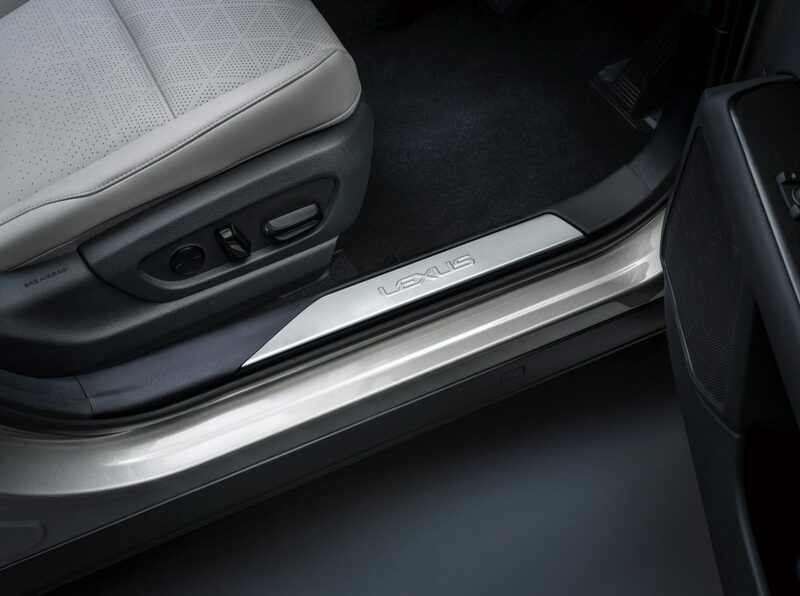 The 2019 UX is the first Lexus developed to use the new Global Architecture-Compact (GA-C) platform. 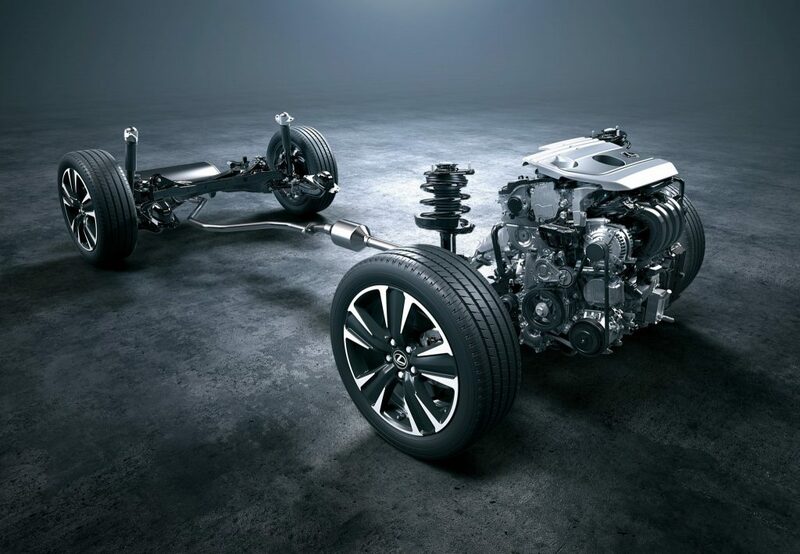 A lightweight yet super-rigid structure, low centre of gravity and refined suspension tuning endow the UX with exemplary handling agility and ride comfort, along with a distinctive driving personality. 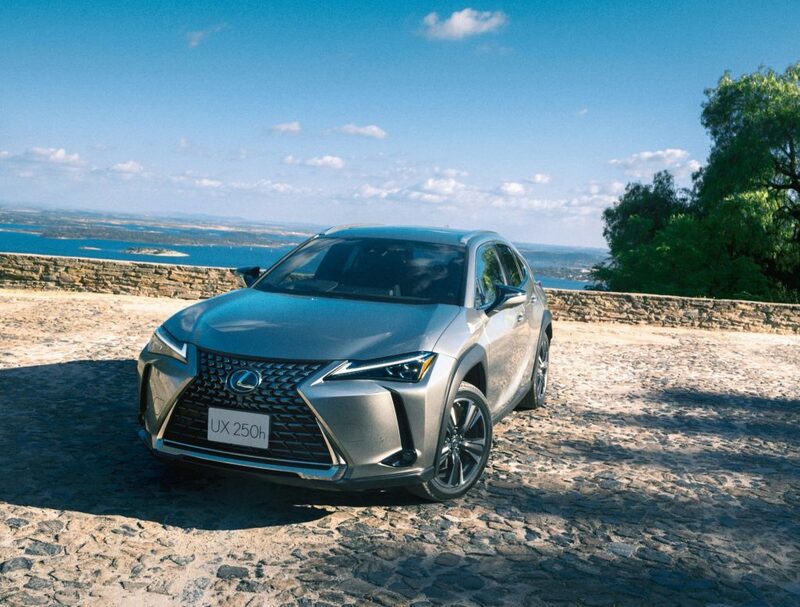 The UX’s bold and sophisticated personality is characterized by a solid exterior that exudes power and strength, while the wide fenders and compact body convey the vehicle’s agility. 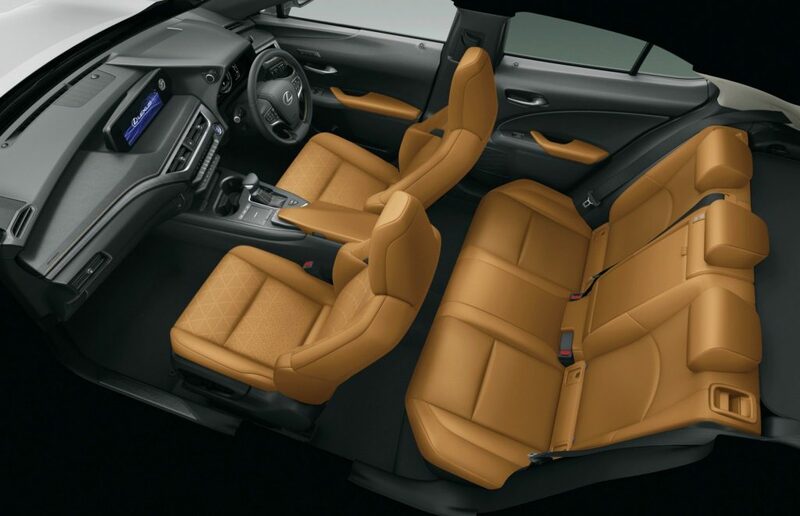 Inside, the cockpit invites the driver to enjoy the exhilaration of driving, while the cabin generates an overall sense of spaciousness that is immediately noticeable to the vehicle’s occupants. The UX possesses the basic proportions that define a crossover vehicle, while the GA-C platform’s rigidity and low centre of gravity make the UX a nimble, sporty car, emphasizing high agility, stability, and ride quality no matter the driving conditions. 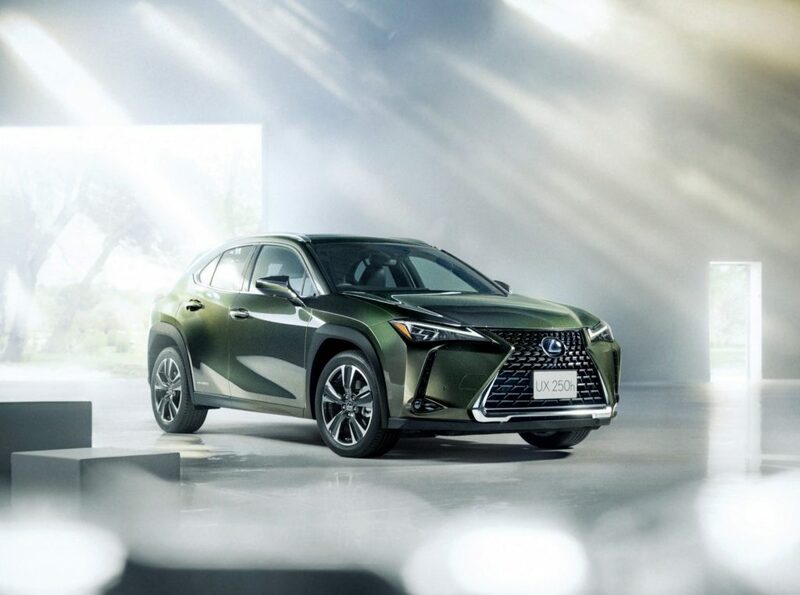 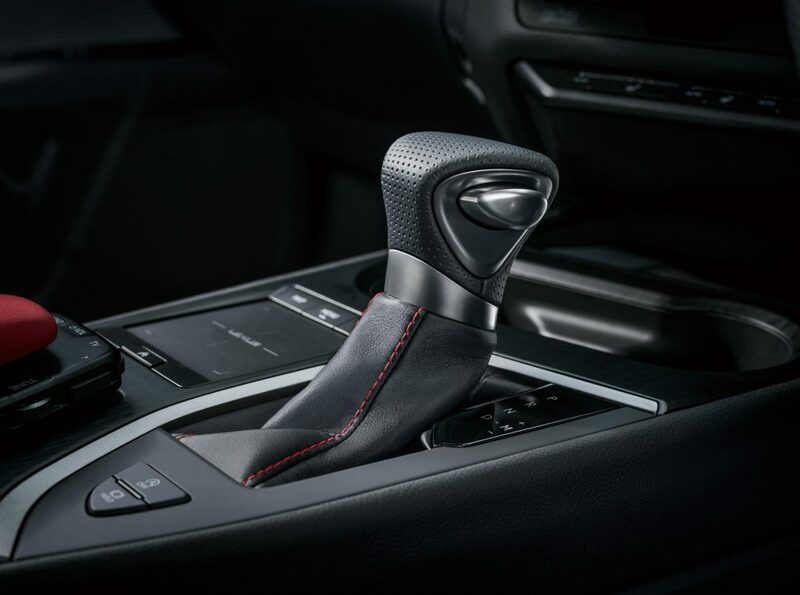 The UX embraces the latest powertrain technology, underscored by a new 2.0-liter direct-injection inline-4 engine and a 2.0-liter hybrid system. 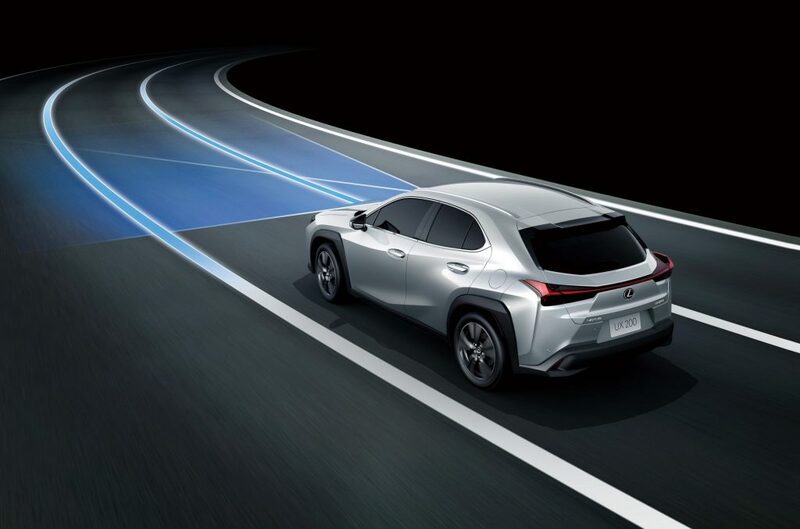 With the latest version of Lexus Safety System+, which includes Lane Tracing Assist, the UX ensures that all passengers travel with the assurance of the most advanced safety technology. 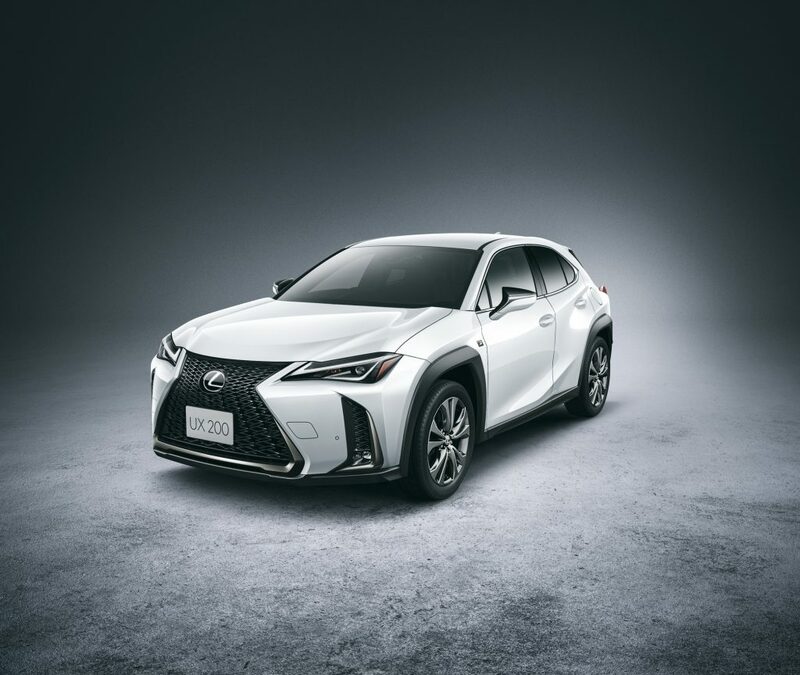 The UX’s exterior styling exudes strength and power while offering a sense of sophistication and grace that expresses the vehicle’s agile nature. The body’s solid build emphasizes toughness and stability, providing a sense of security for all occupants. The UX possesses body proportions befitting a vehicle with excellent agility, achieved by its aggressive fender shape that flows from the center of the cabin toward the front and rear tires. 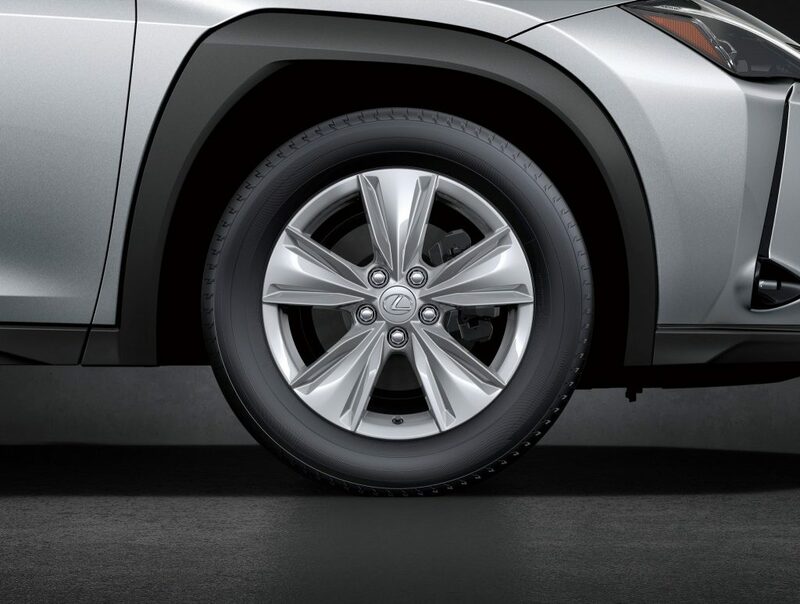 The GA-C platform’s low center of gravity, in tandem with wide-diameter wheels, bolster the UX’s athletic demeanour. 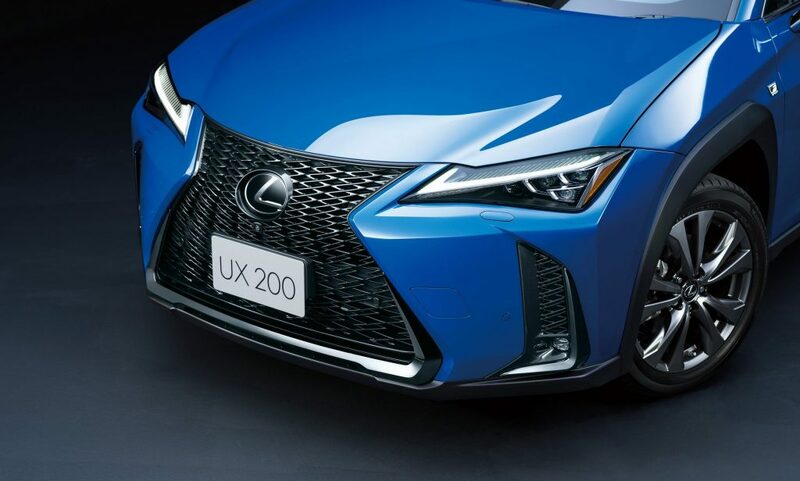 The powerful essence of the UX’s side profile is highlighted by a pair of character lines (one above the other) that swoop from the front of the vehicle to the rear, creating an image of constant motion even when still. 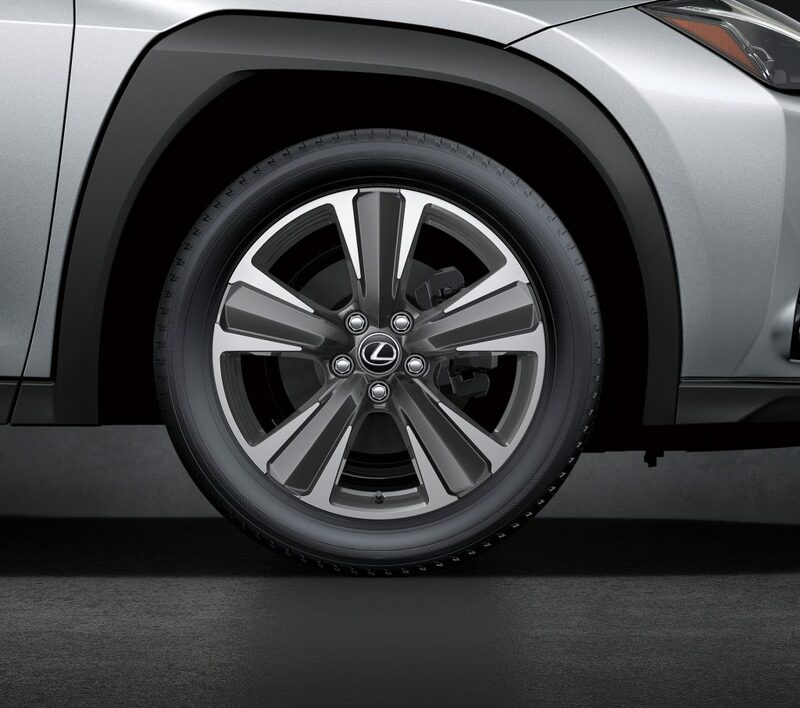 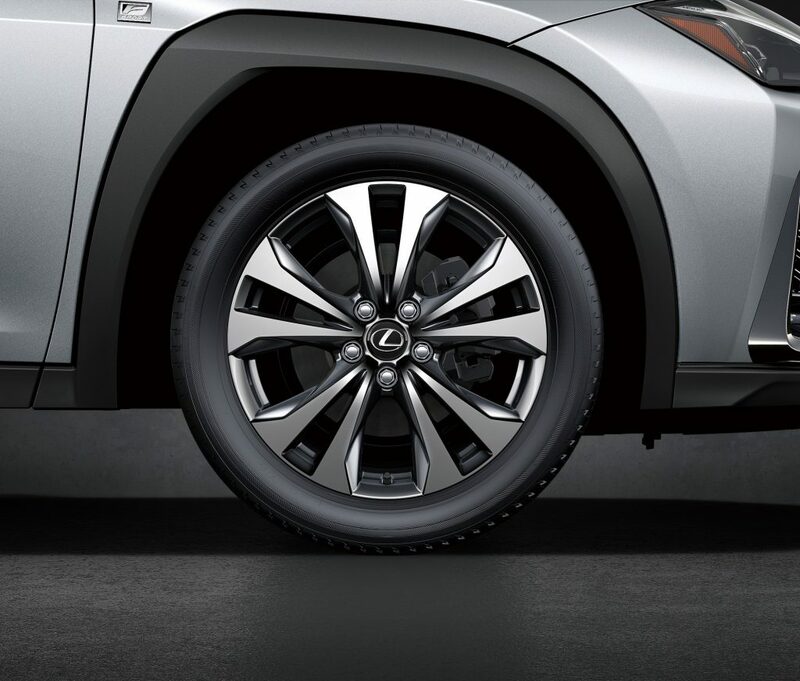 The high fender arches and 17-inch wheels add volume to the UX’s personality, as well as deliver excellent aerodynamic performance. 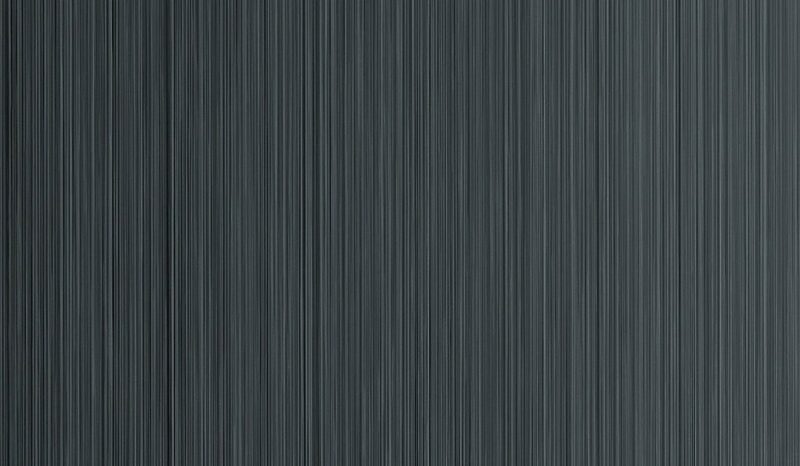 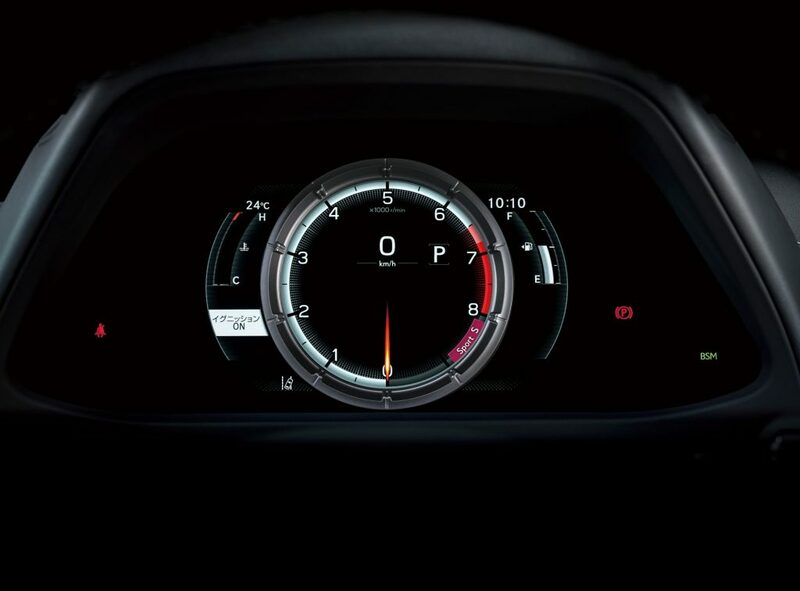 The UX’s rear adopts the “spindle” theme, demonstrating a sharp, tight nature. 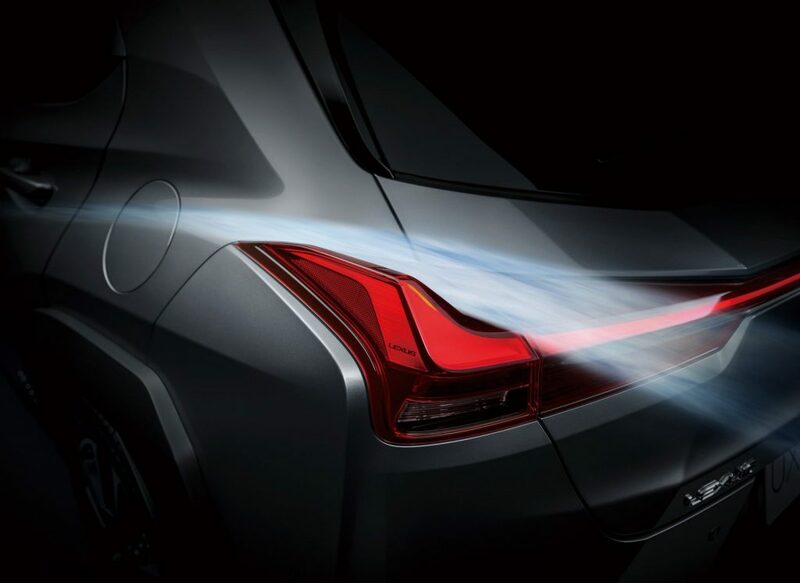 The wing-like rear combination lamp marries the left and right lamp housing to form one complete unit. 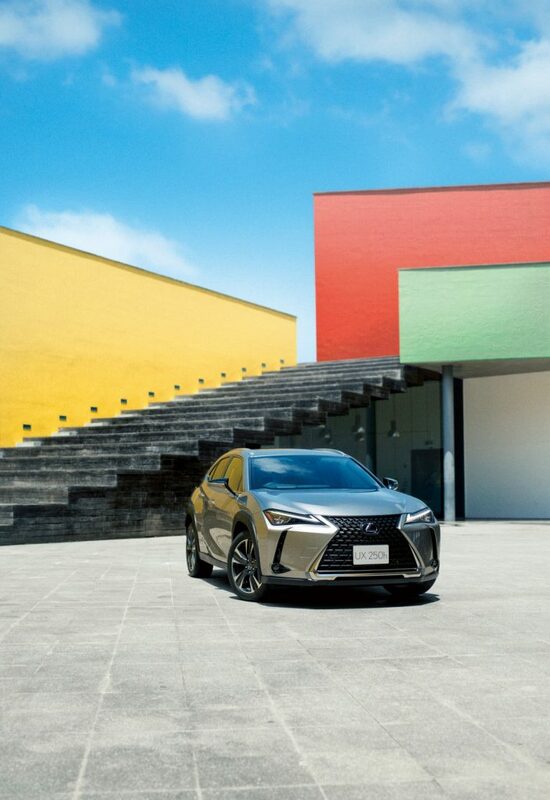 Three-dimensional upright fins yield improved aerodynamic performance and driving stability, underlining the design philosophy of creating original designs that are both functional and aesthetic. 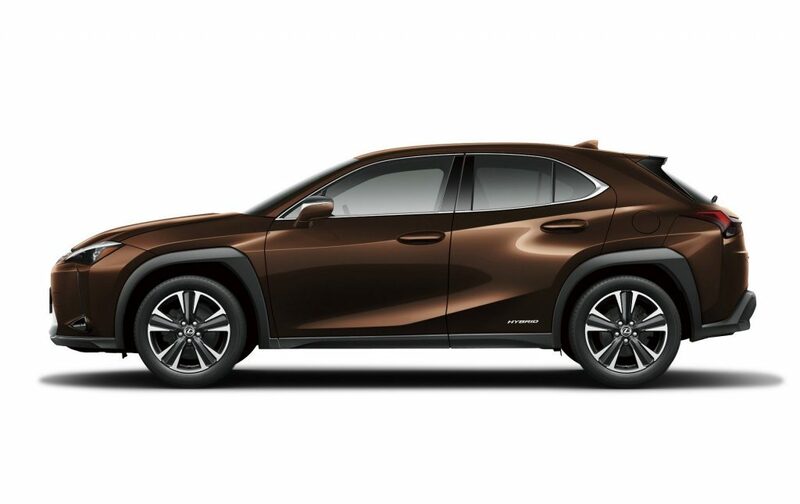 13 total exterior paint colours, three of which have been newly developed exclusively for the UX, expanded customization options. 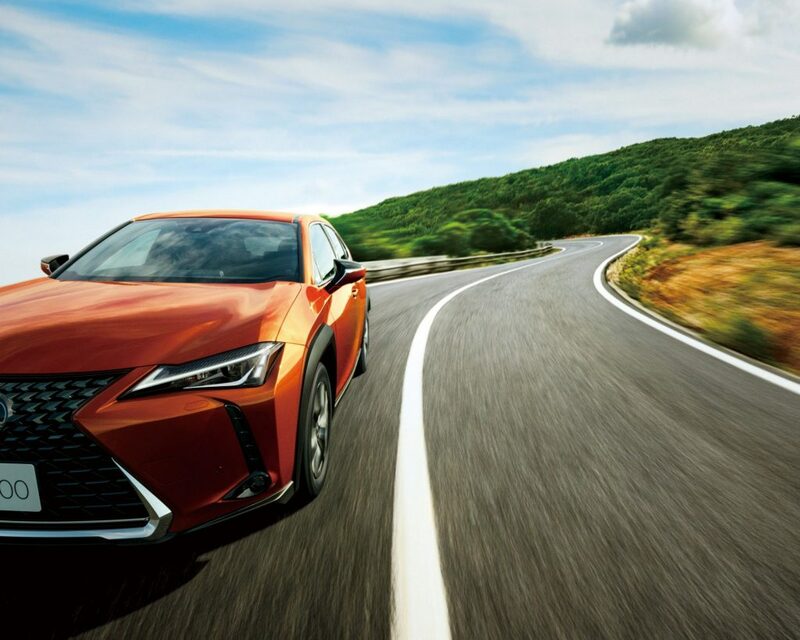 Newly served up are: “Blazing Carnelian Contrasting Layering,” producing a deep hue of orange clay that changes tint depending how the light hits it; “Terrain Khaki Mica Metallic,” inspired by the color of stones and deep shadows; and “Celestial Blue Glass Flake,” characterized by a solid color peppered with sparkling flakes. 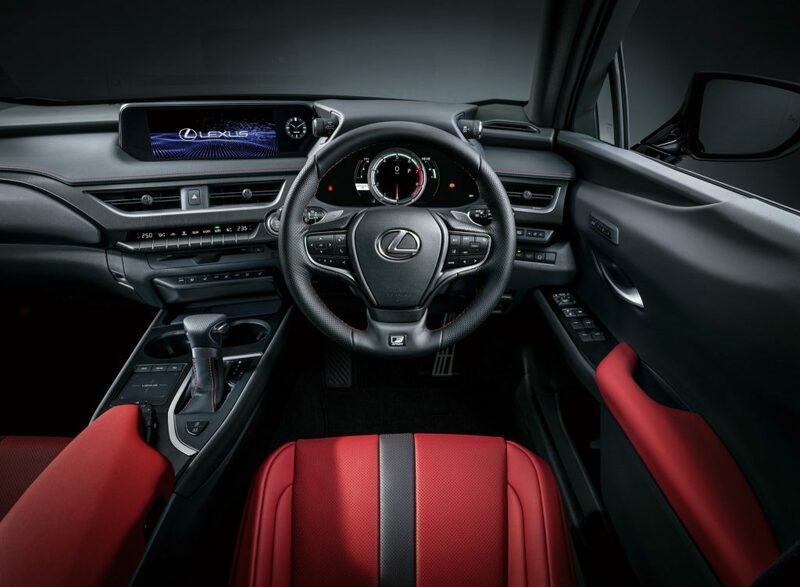 The cockpit amplifies the exhilaration of driving. 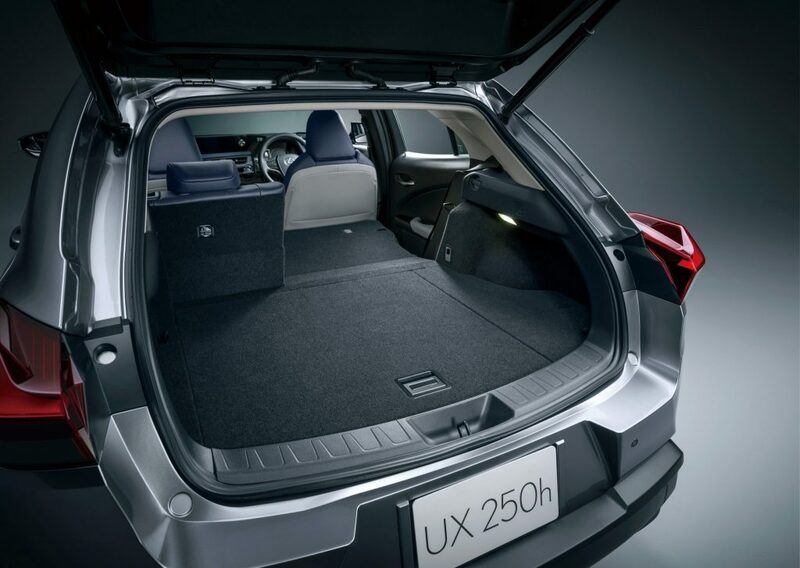 The styling and shape of the cabin generate an overall sense of spaciousness that is immediately noticeable to the vehicle’s occupants. 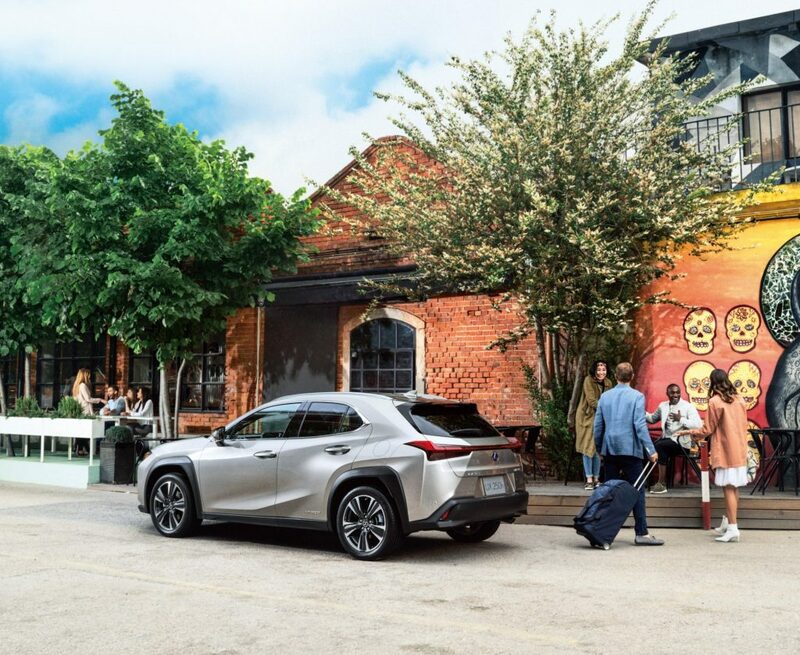 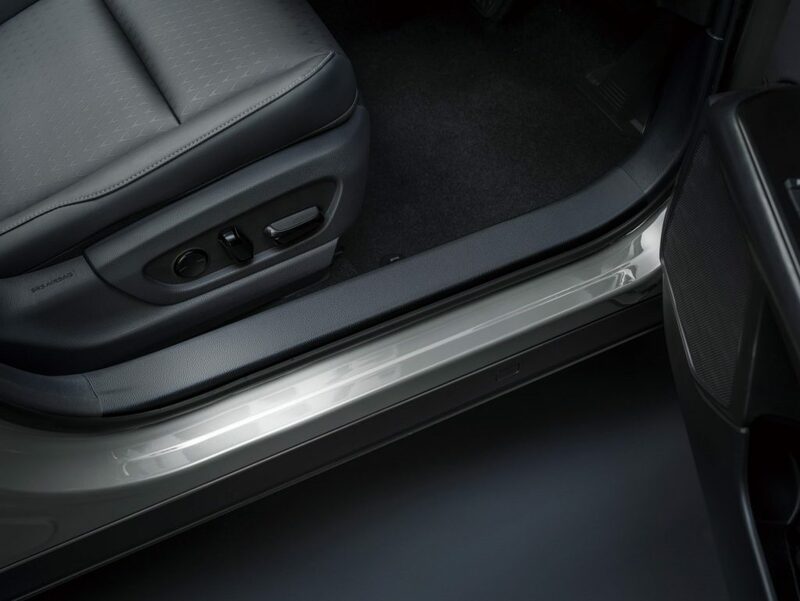 Possessing the silhouette of a crossover vehicle, the UX also offers a low driving position, further enhancing the driver’s sense of unity with the vehicle. 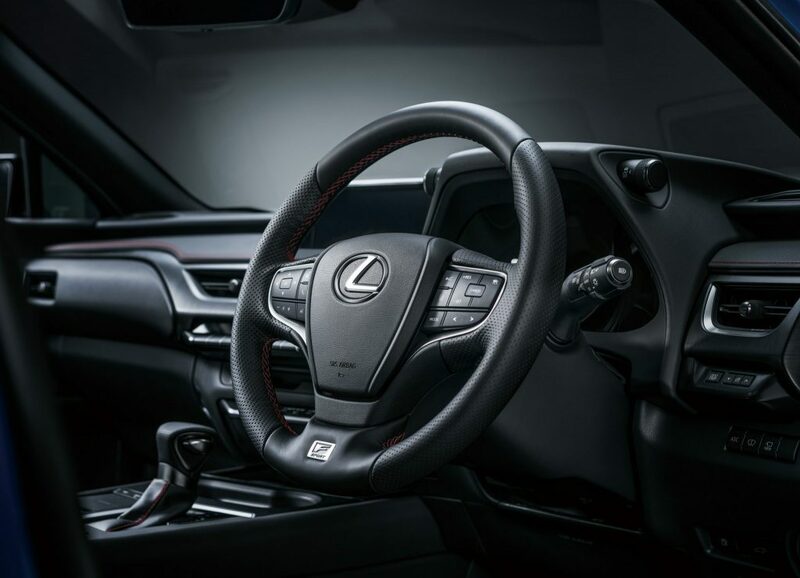 Other aspects of the cockpit have been designed around the steering wheel, to evoke a sense that it is a true driver’s machine. 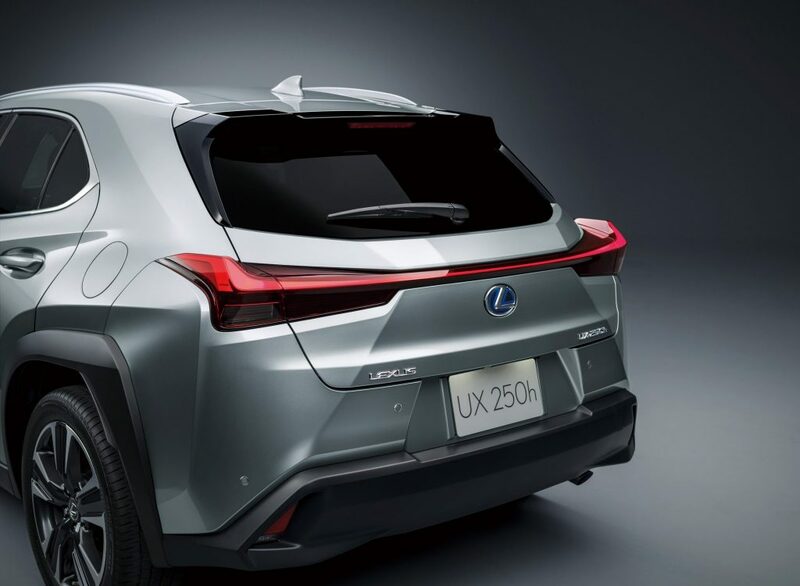 Designers strived to create a seamless continuity between the inside and outside of the UX akin to traditional Japanese architectural concepts; the upper section of the instrument panel appears to extend out beyond the windshield into the fenders, delivering an excellent field of vision and a clear sense of the tire placement. The border between the inside and outside of the UX artfully blends together, with the top portion of the dashboard fusing flawlessly with the hood and fenders. 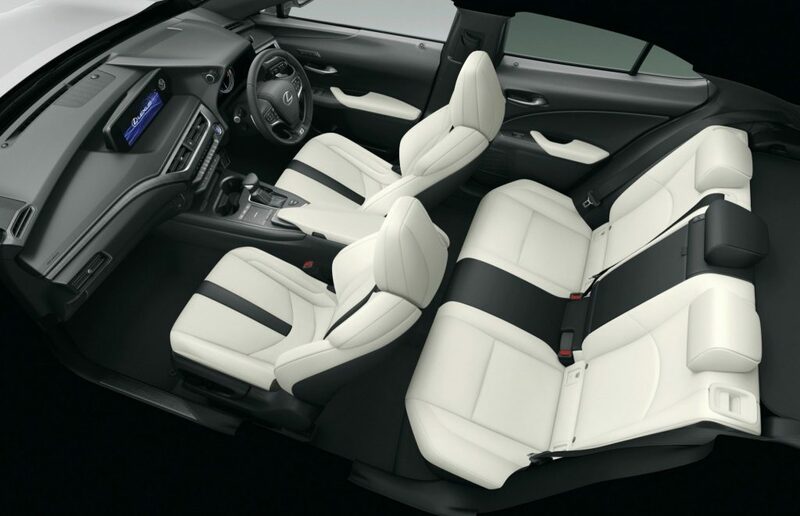 The shoulders, center console, and armrests are shaped to convey a reassuringly solid feel, creating an interior with a high sense of security. 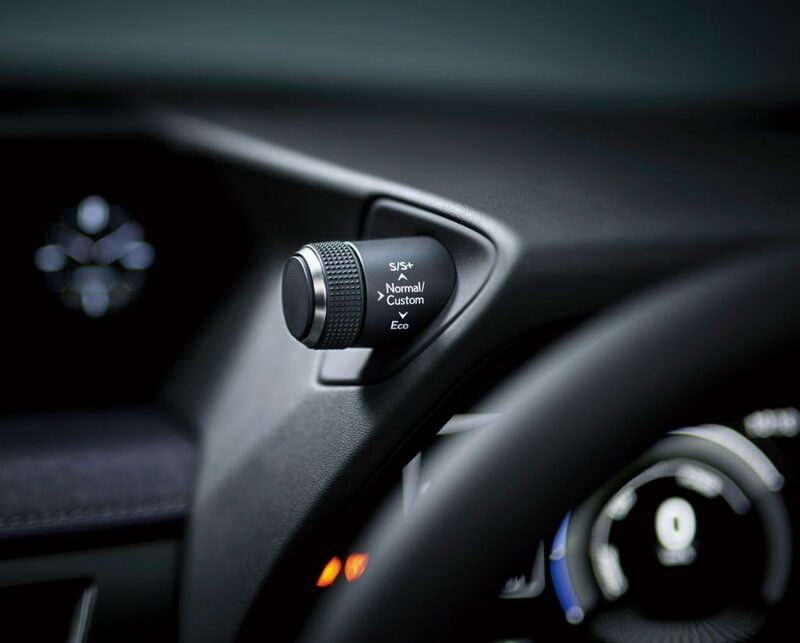 The UX was designed to encourage the driver to focus on driving, with all controls and gauges strategically placed for optimal efficiency. 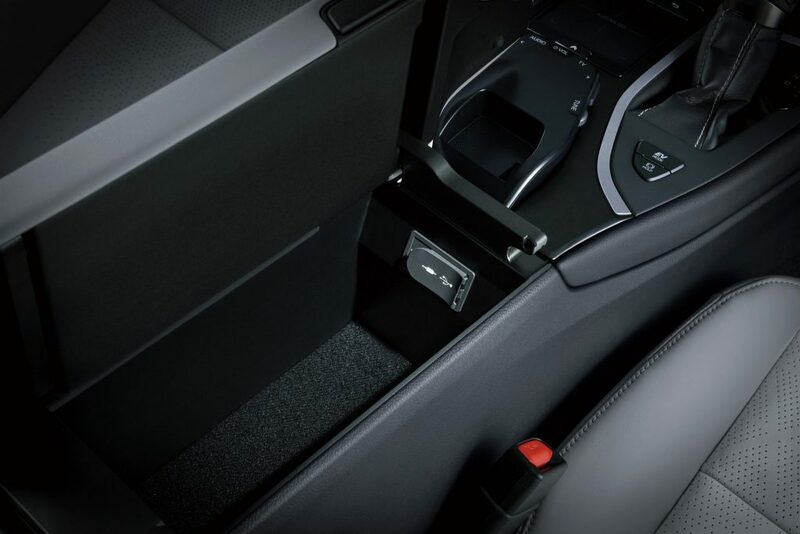 The center console box and palm rest are melded into one unit, creating a long armrest that provides maximum convenience and ease of use. 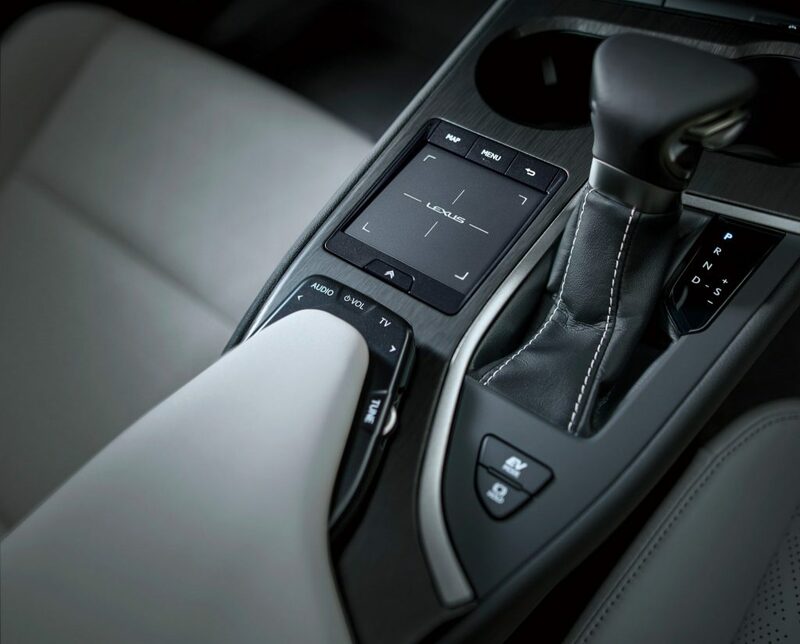 The console surface has been meticulously refined to the millimetre, with ergonomic specifications fastidiously calculated and operational controls placed in areas that maximize ease of use, such as audio switches being placed at the front of the armrests. 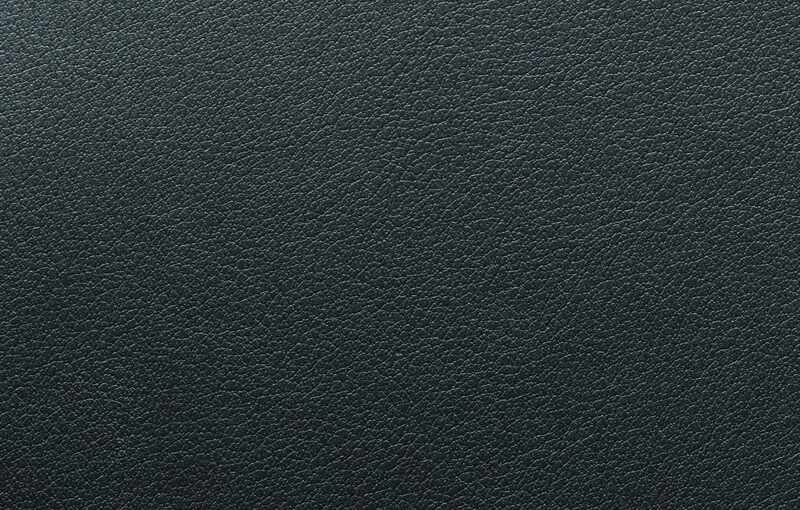 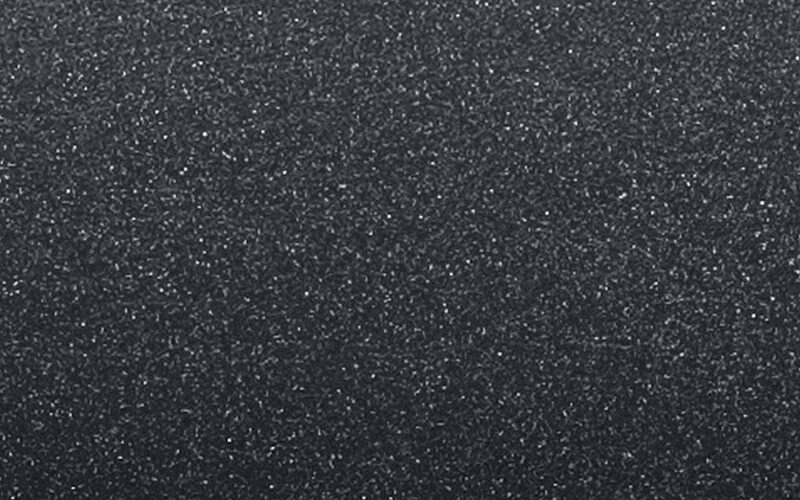 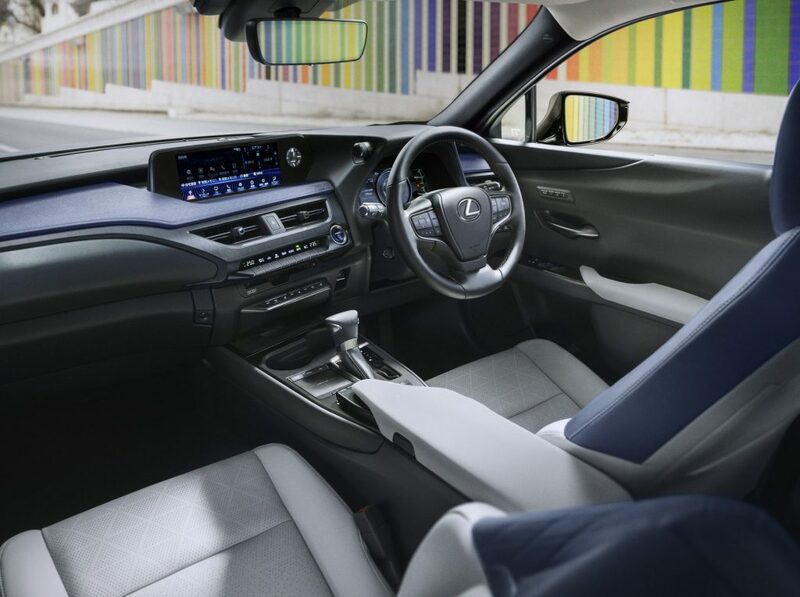 The “functional and aesthetically pleasing” theme has also been incorporated in the front seats through sashiko quilting―an age-old Japanese embroidery art―and excellent seat ventilation achieved through the strategic perforation, keeping the occupants comfortable on long journeys. 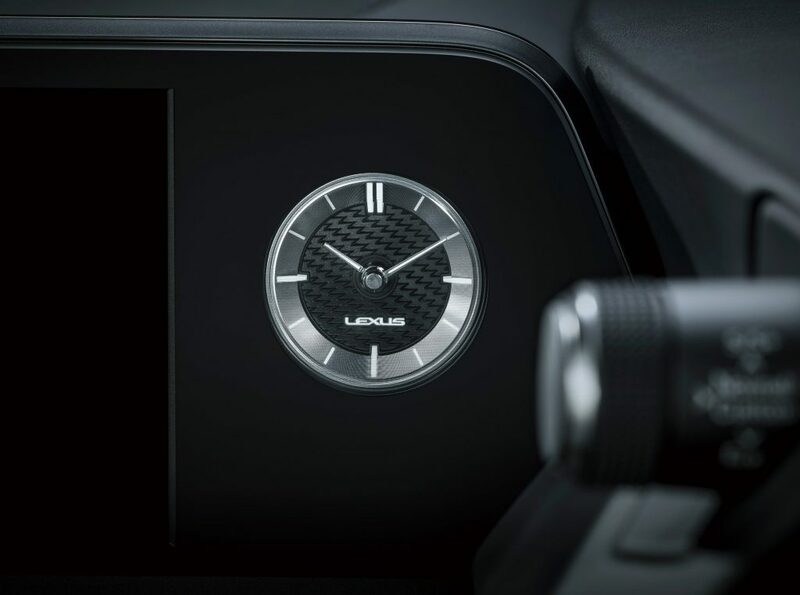 The ornamentation on the top part of the instrument panel was inspired by washi (traditional Japanese paper), lending the UX a distinct Japanese character. 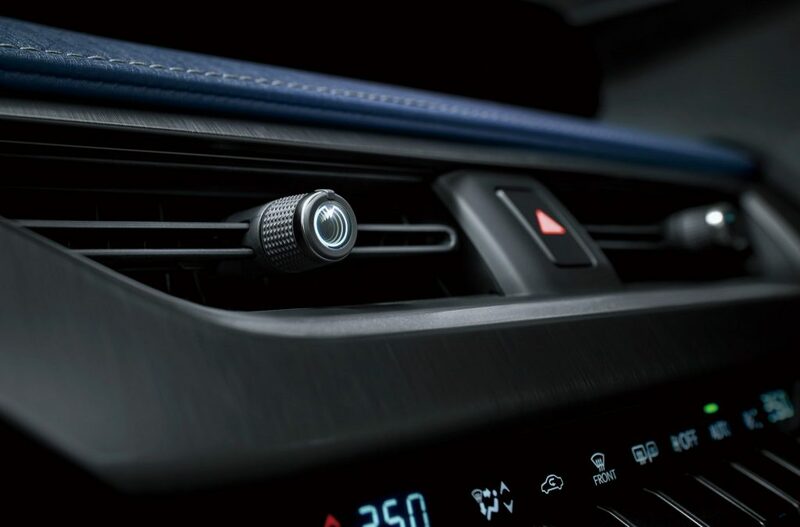 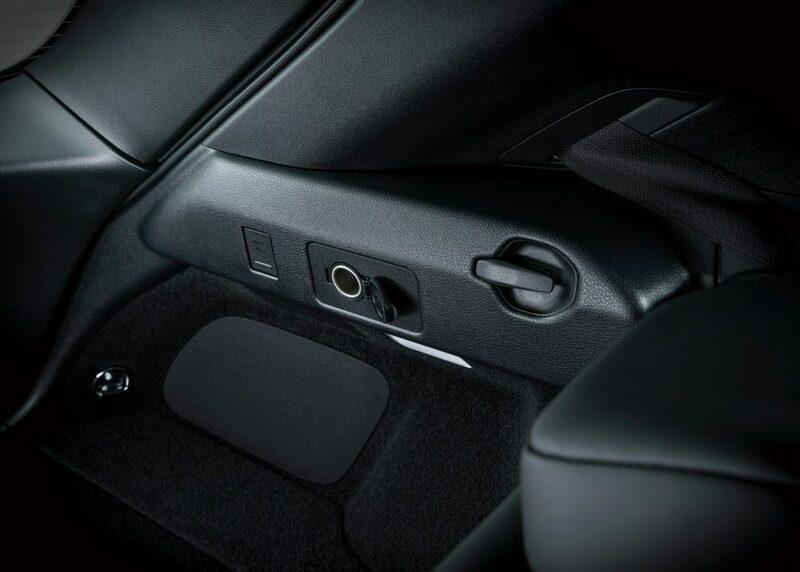 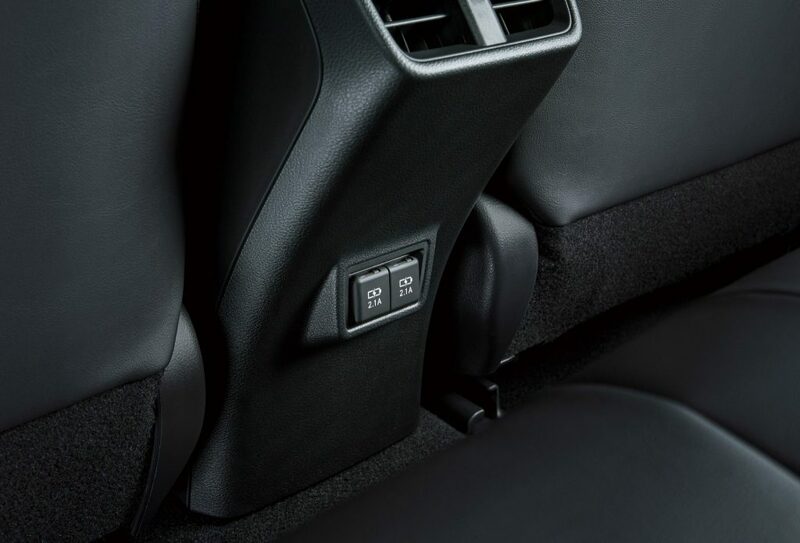 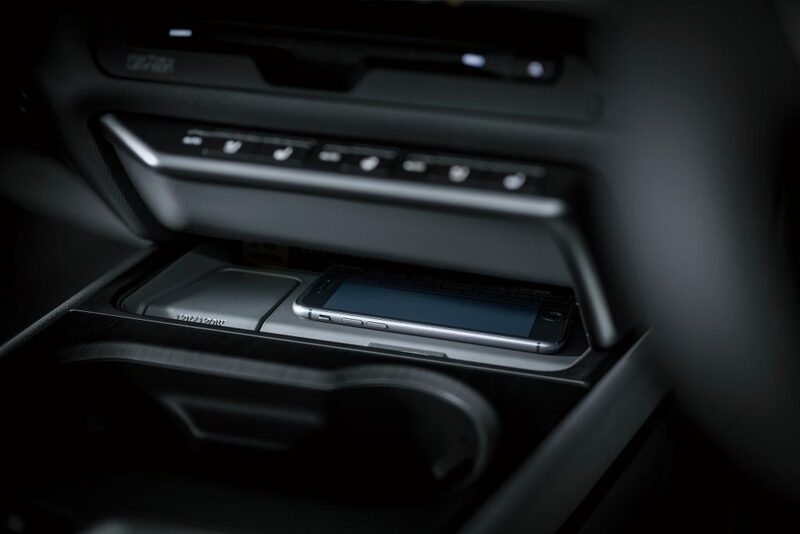 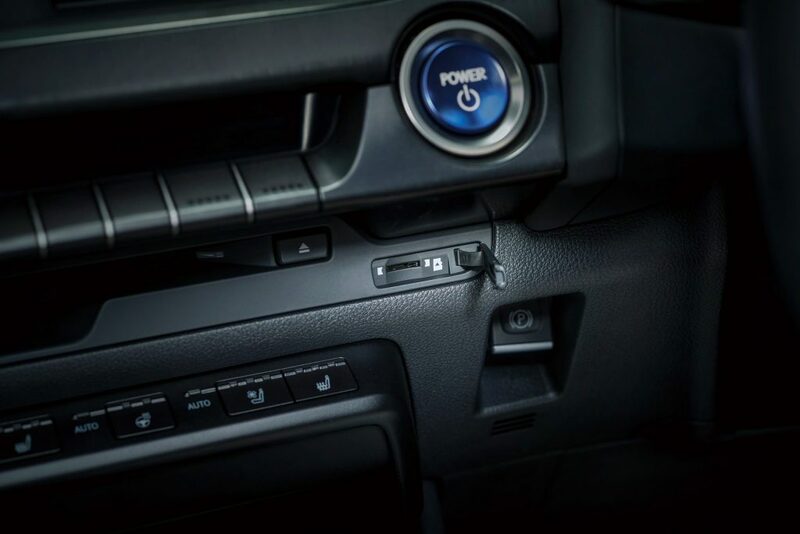 The UX also features the world’s first air-condition knob with LED illumination sources wirelessly powered by electromagnetic resonance, providing a unique depth to the interior lighting. 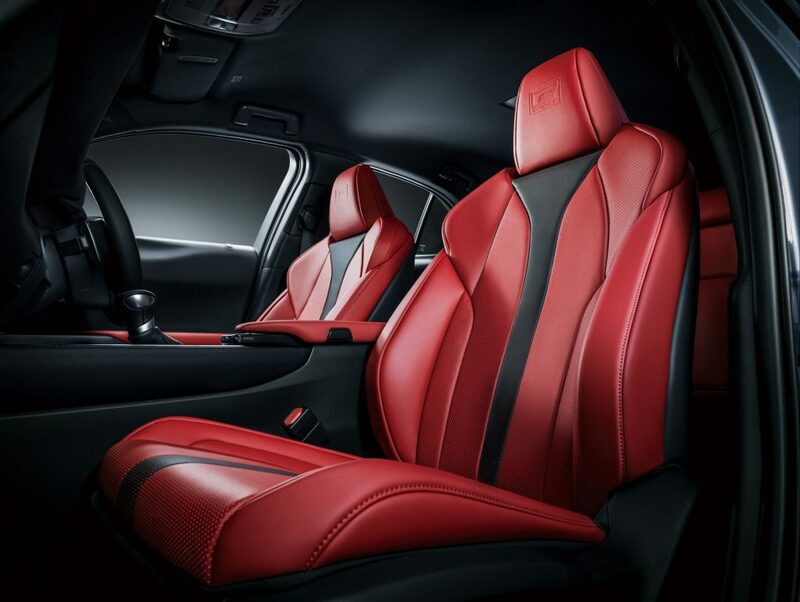 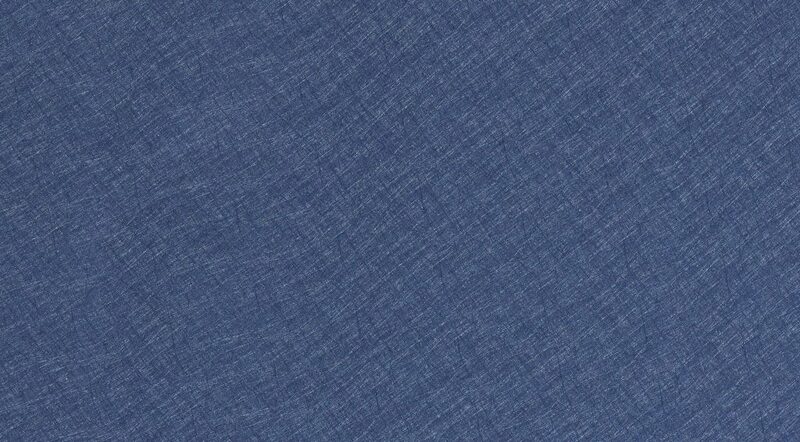 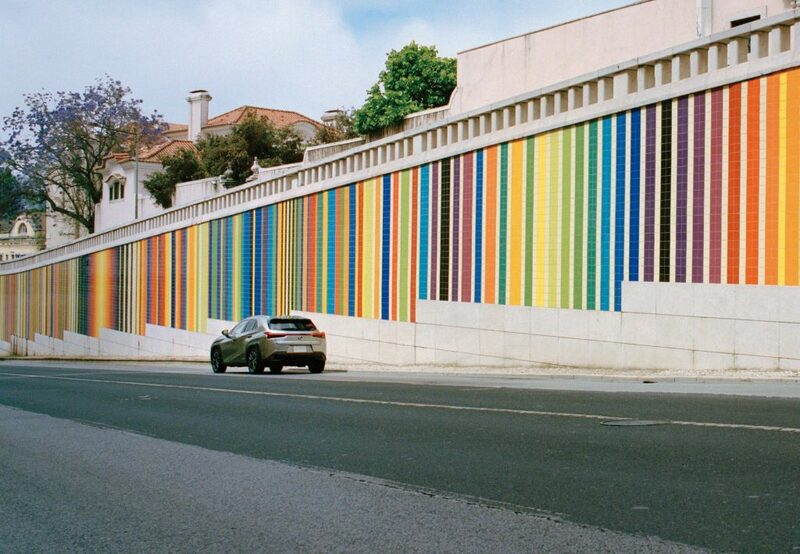 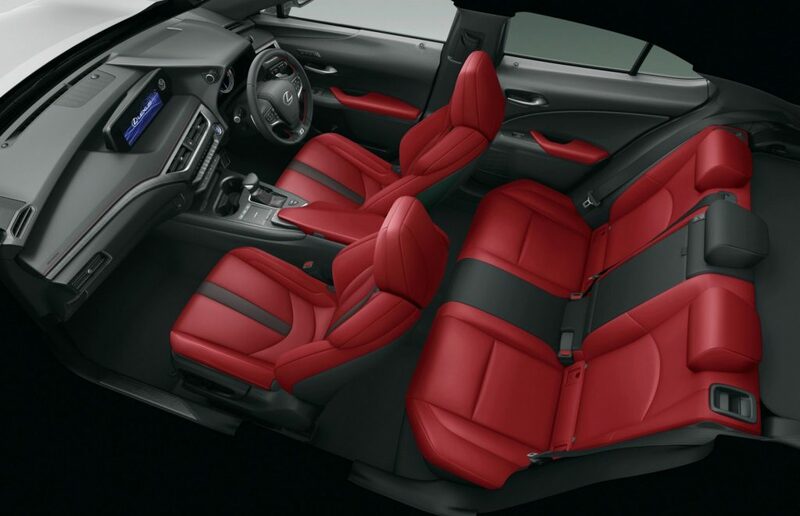 Two new interior colors were developed for the UX. 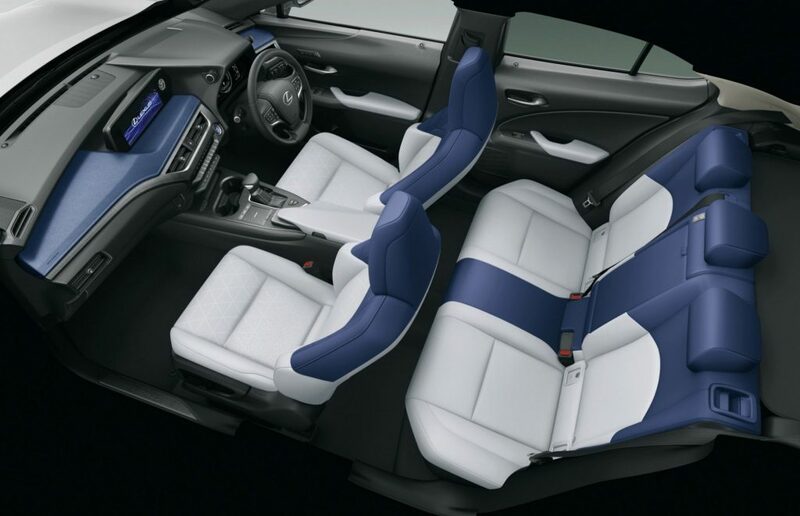 “Cobalt” illustrates a blue that injects the vehicle with a sense of sportiness and fashion, and “White Ash” gives the spacious interior a modern flavor. The UX boasts razor-sharp steering response and excellent stability, owing partly to the new GA-C platform that provides the lightweight vehicle with a low center of gravity and excellent structural rigidity. The UX also utilizes the latest Lexus powertrains, namely, a newly developed direct-injection 2.0-liter inline-4 for the UX 200 and a 2.0-liter next-generation hybrid system in the UX 250h. 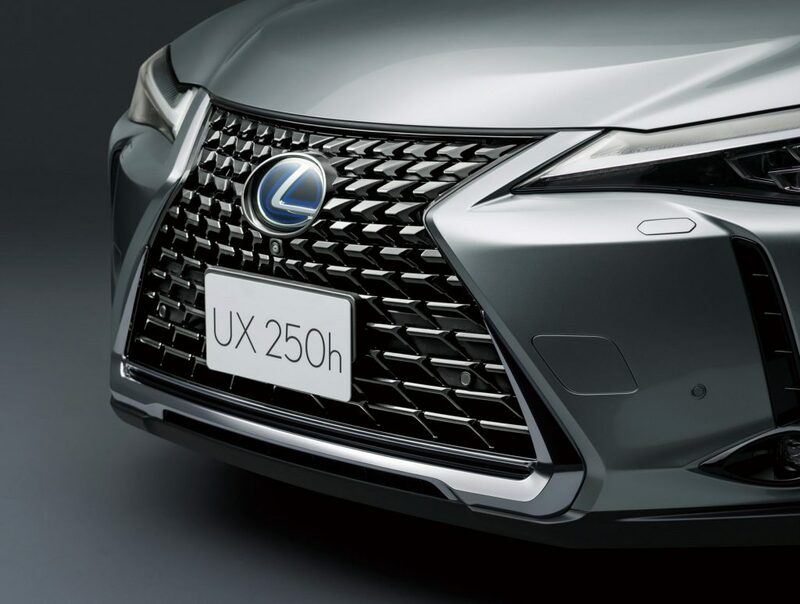 Both provide exceptional response and match flawlessly with the UX’s handling character, making it emblematic of Lexus’ signature “refreshingly profound” driving character. 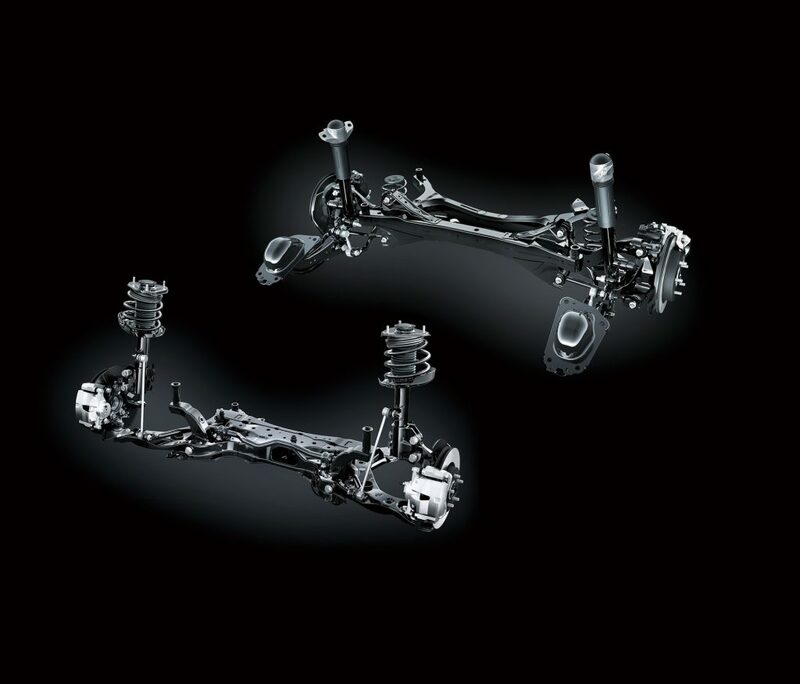 All the elements come together―steering, braking, and accelerating―and enable a nimble drive with accurate line tracing. Boasting excellent power delivery and an environmentally friendly clean-burning character, the UX’s 2.0-liter direct-injection inline-4 engine allows brisk acceleration through its high-rev prowess and melodious engine sound. 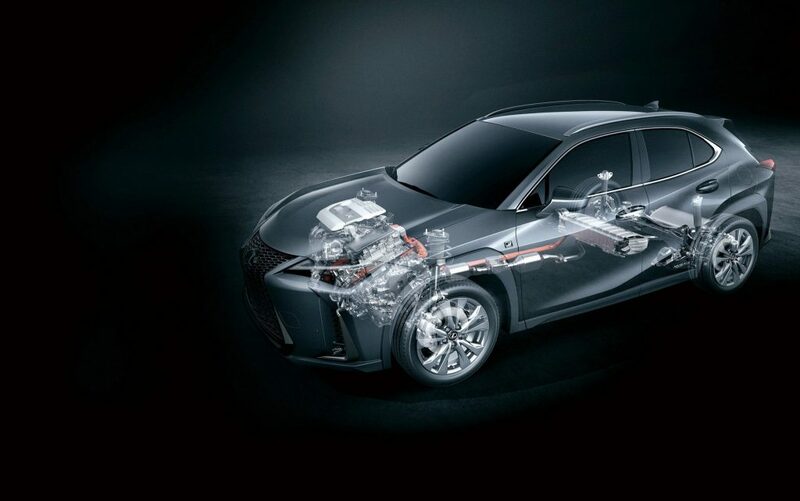 Combining revolutionary laser-clad intake valve seats that enhance airflow within the cylinder and yield high-speed combustion within the chamber, the UX boasts world-leading thermal efficiency (UX 200 gasoline engine: 40 percent; UX 250h hybrid system: 41 percent). 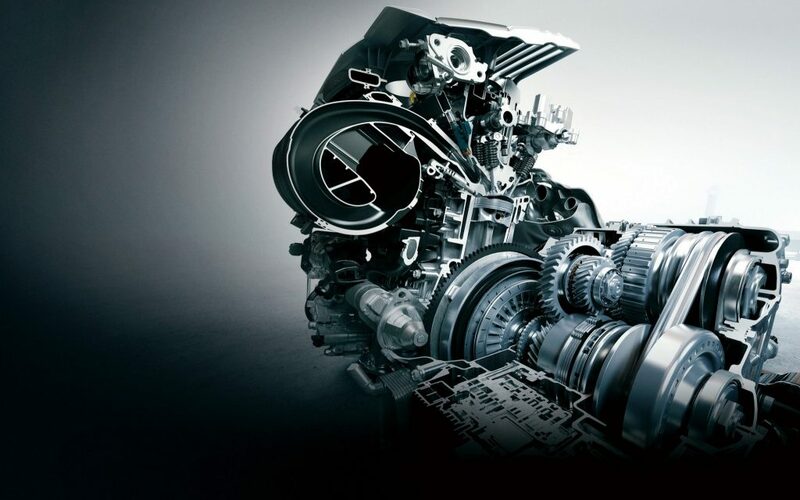 The engine is also the first-in-the-world to feature cross-hatch grooves on the piston surface to improve oil retention and decrease friction. 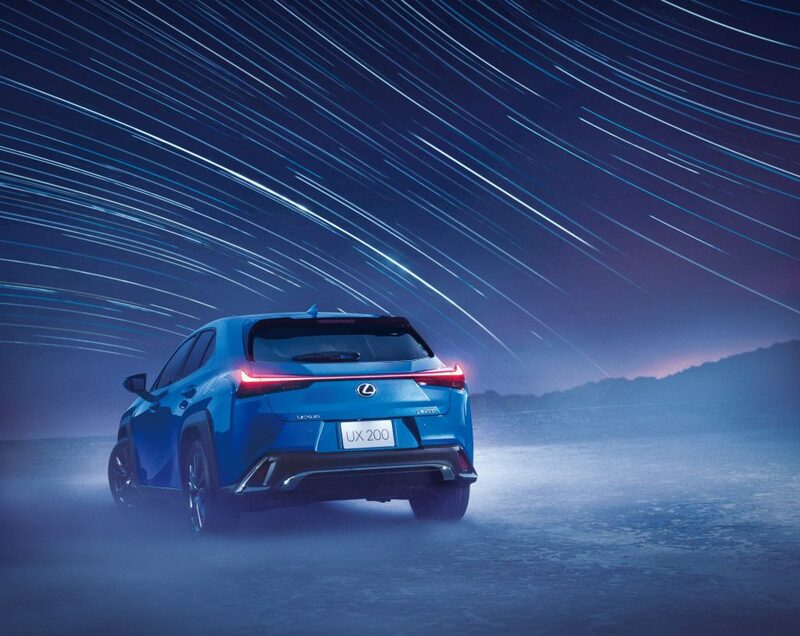 Other new technologies gleaned from Lexus’ motorsport pursuits have been adapted into the UX, including the high-rev engine that results in enhanced power output. 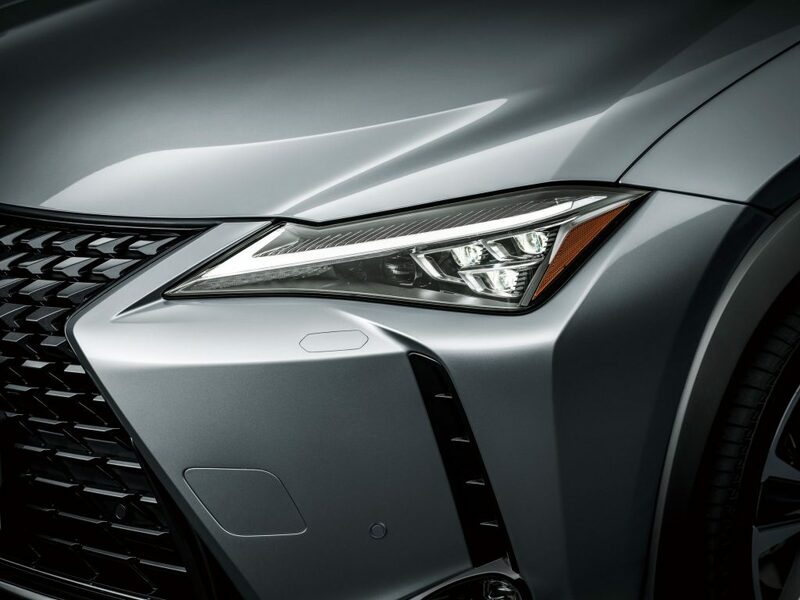 The F SPORT’s exterior can be distinguished from standard models by its unique side grille, newly-designed F mesh pattern, and custom alloy wheels that have been color coordinated with the jet-black elements of the lower part of the vehicle, including the revised front and rear bumpers. 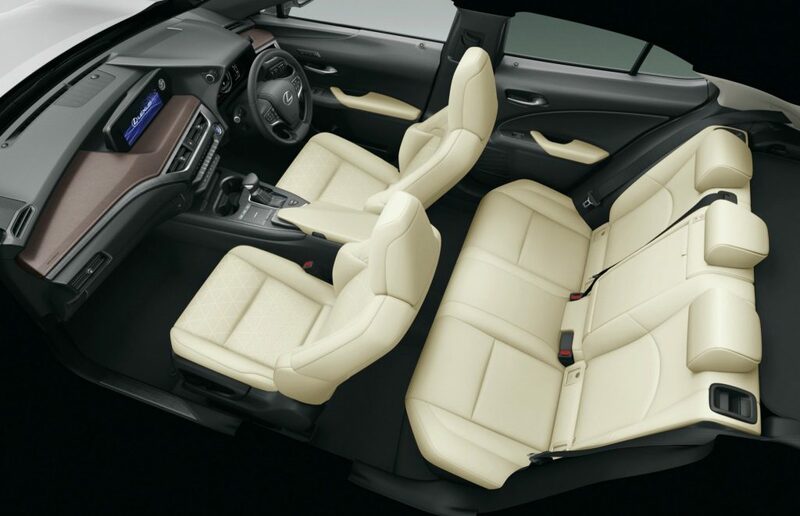 Inside the cabin, special seats, a steering wheel, and gauges evoke a high level of sportiness. 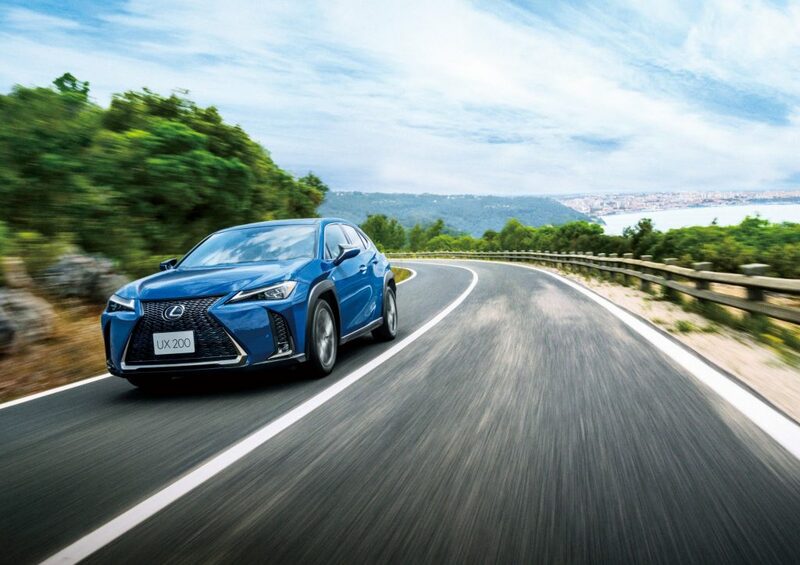 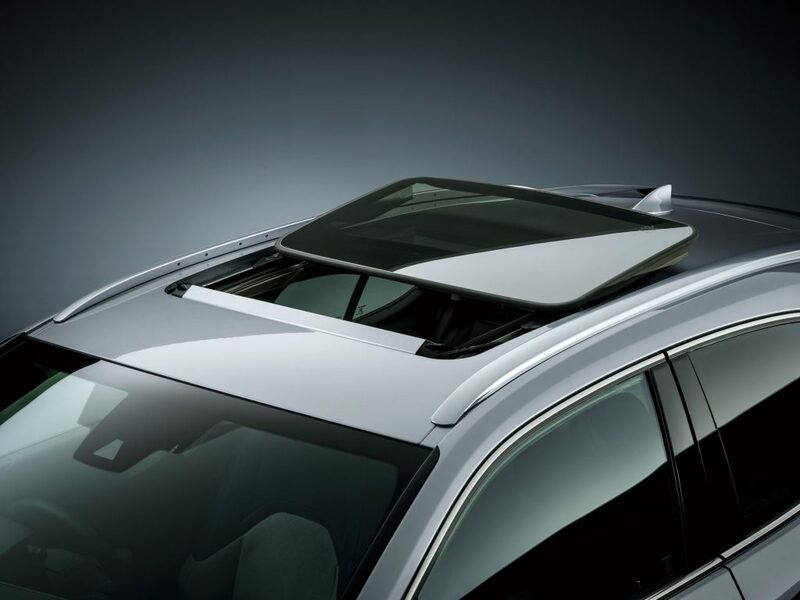 The F SPORT exhibits a solid ride quality and enhanced handling, derived from its linear solenoid AVS system that controls damping force to the finest degree, a performance rod at the front of the vehicle, and a performance damper at the rear. 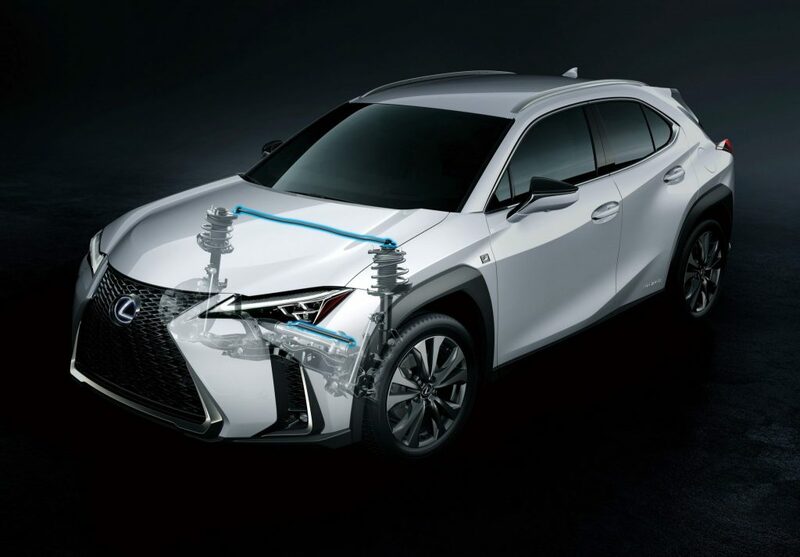 Lexus remains committed to rapidly developing its advanced safety technologies and equipping them into as many of its vehicles as possible. 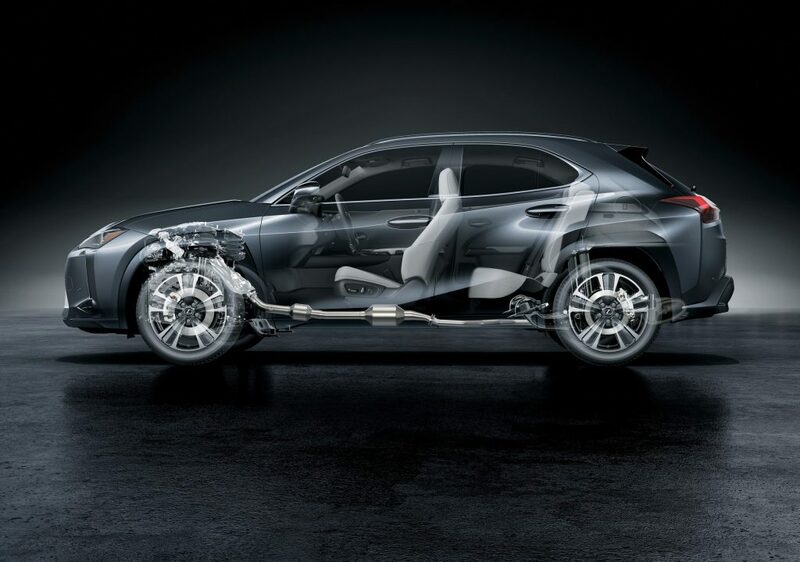 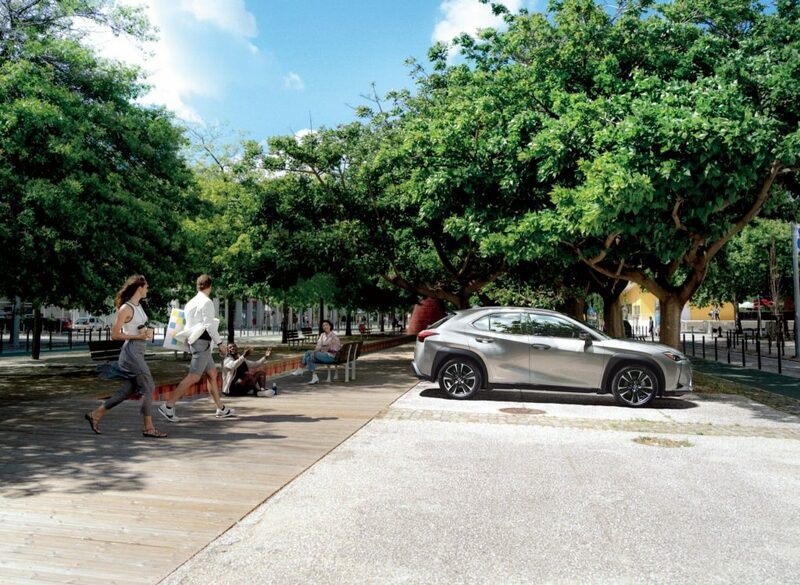 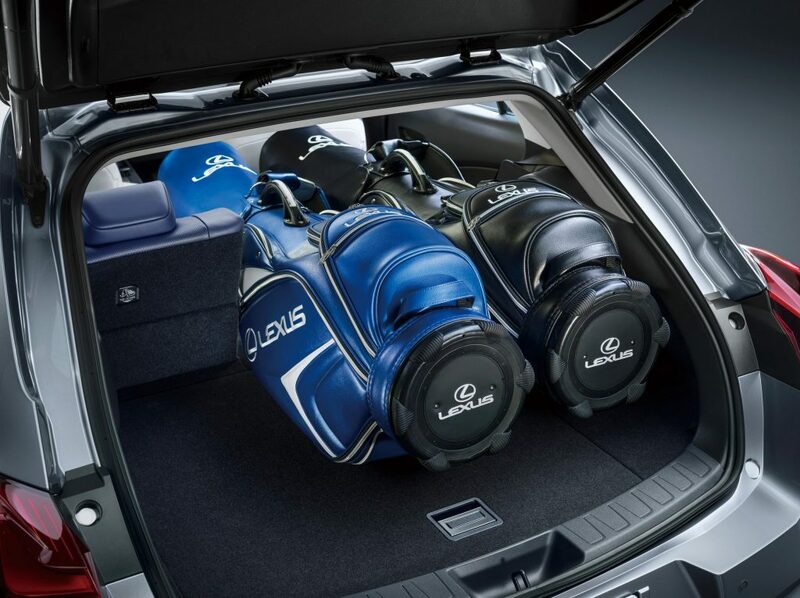 The UX employs the latest version of the “Lexus Safety System+” preventive safety system. 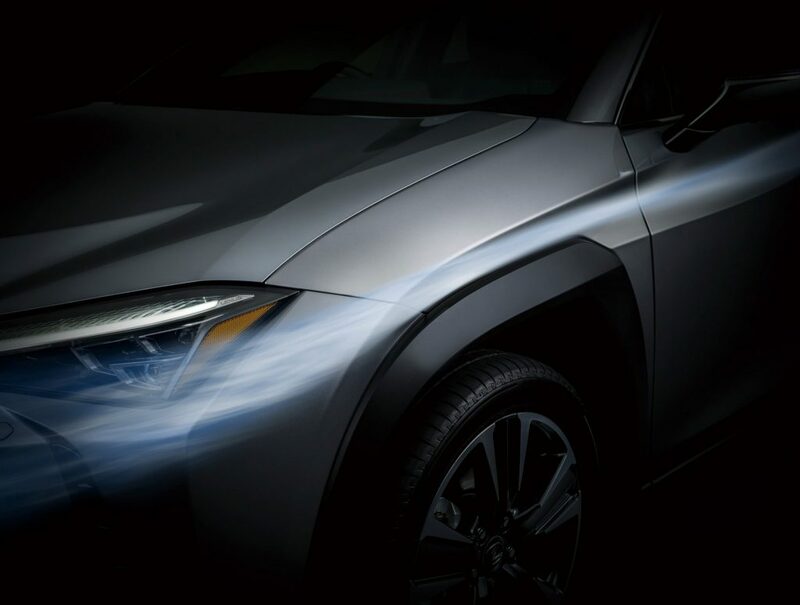 The Adaptive High-beam System (AHS) automatically reduces brightness in specific regions ahead of the car to avoid harshly illuminating oncoming vehicles or those in front of the vehicle. 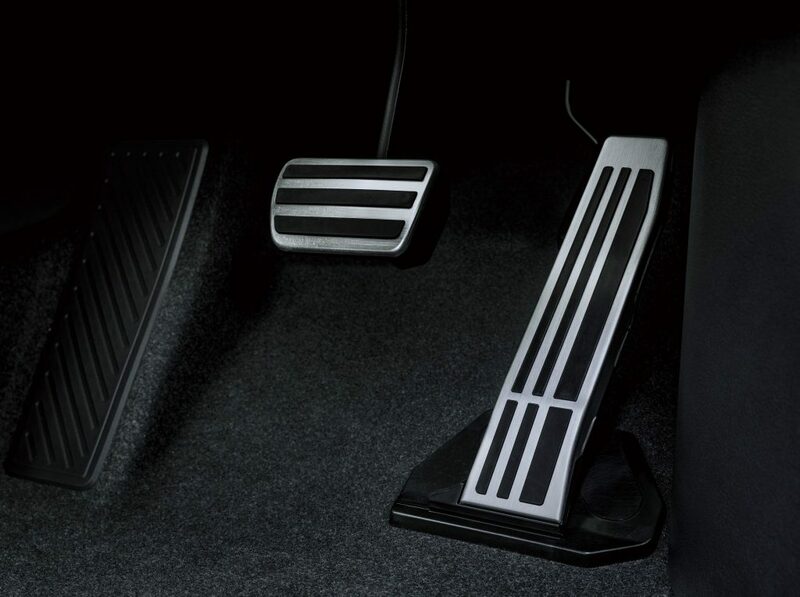 The Parking Support Brakes make driving safer in restricted spaces such as parking lots, where moving vehicles and pedestrians present possible dangers. 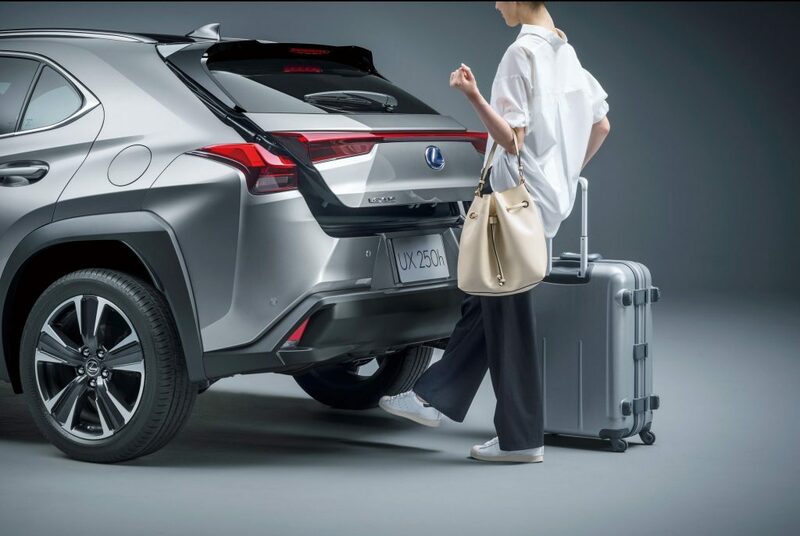 It detects pedestrians using a rear camera, and if a potential collision is spotted, helps minimize damage with alerts and brake control. 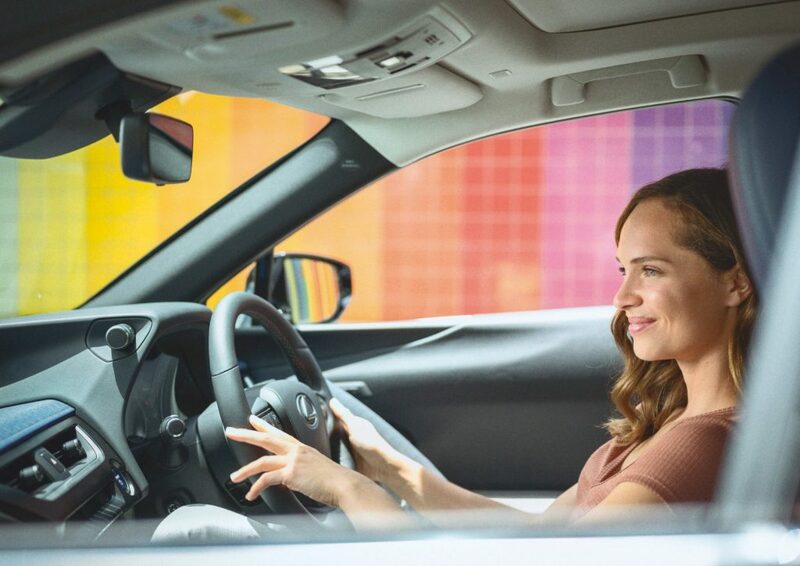 The Panoramic View Monitor provides a bird’s-eye view of the surrounding environment, equipping drivers with a composite image of the vehicle’s surroundings.